A few weeks ago I posted an article on Krispy Kreme Japan. 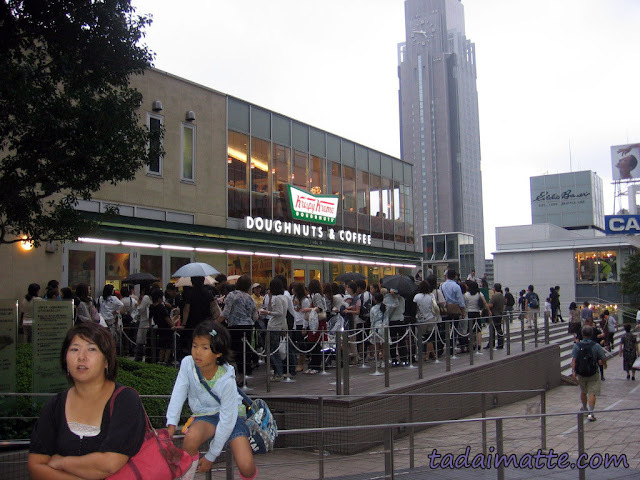 Well, I had misplaced this photo of the lineup outside the Shinjuku store (taken November 2007, still almost a year after the store's grand opening!) of people waiting in the rain for their K.K. doughnuts, so I decided to share before I added it to the other post. This would be considered a "medium-long" line, by my estimation. Most of these people probably waited 45 minutes to an hour!